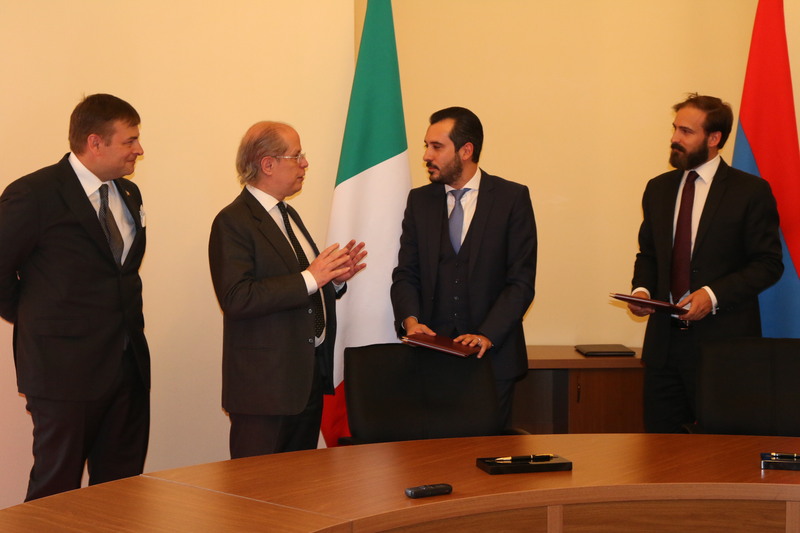 YEREVAN – The CEO of the Development Foundation of Armenia Armen Avak Avakian and the CEO of Shaula International consulting company Fabio Lenzi signed a Memorandum of Understanding to promote Armenia’s business opportunities in Italy and attract more Italian investors to Armenia. Shaula International received the status of the Official Representative of the DFA in Italy. 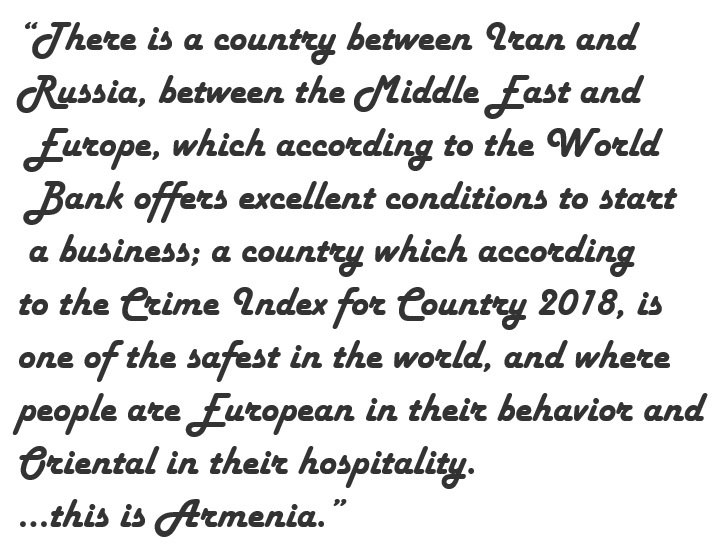 The company will provide requisite information on Armenia’s business climate, investment opportunities, preferential trade regimes to the Italian potential investors as well as create a solid foundation for doing business between the two parties. The ceremony was attended by the Italian Ambassador to Armenia Giovanni Ricciulli. 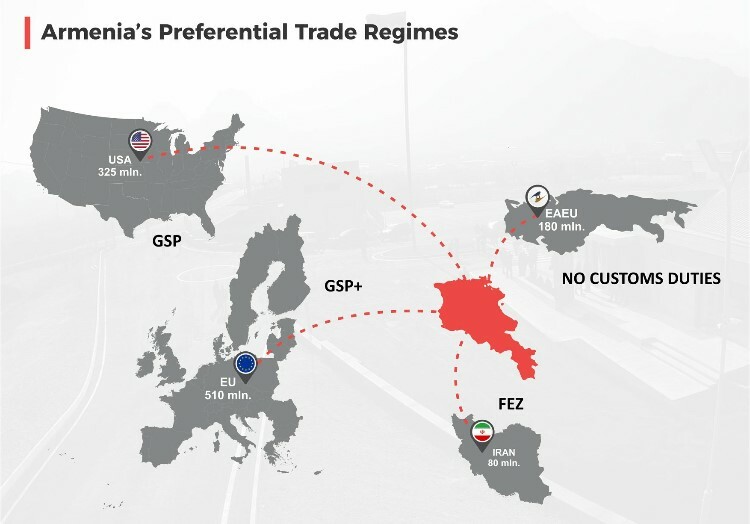 “To enhance bilateral economic and trade cooperation and to better understand the needs and vision of the Italian business community, DFA should start speaking the language of business with Italian entrepreneurs; Memorandum of Understanding with Shaula International is the first step towards achieving it”, noted the CEO of the Development Foundation of Armenia. The CEO of Shaula International LLC Fabio Lenzi stated, “We are very happy to start our partnership with the DFA and are ready to support this initiative full force in order to attract more international business professionals and investment into Armenia, promote export and tourism, and be a part of this joint mission for the brighter future of this country”.